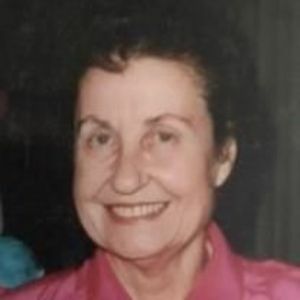 Pearl Newbern of Williamston passed away Wednesday morning, June 15th at the age of 88. She was preceded in death by her parents, John Cecil Newbern and Willie Martin White Newbern, and her siblings, John C. Newbern Jr., David Lawrence (Bro) Newbern, and Bess Newbern Coffee. She is survived by her nephew John C. Newbern III, nieces Martin L. Coffee and Jane Coffee Evans, and great nieces and nephews. Pearl was born September 5, 1927 in Kelford, NC. She was a long-time resident of Williamston and graduated from Williamston High School. She graduated from Berea College in Kentucky in 1950 and returned to Williamston to work. She worked for Martin County Social Services for 35 years as social worker and supervisor. Pearl was a founding member and stalwart of New Hope Baptist Chapel. Pearl was a strong, independently-minded woman, a foundation to her family. Pearl pursued a lifetime love of learning. Visitation will be Friday evening June 17 6PM to 8PM at Biggs Funeral Home. Service will be held Saturday June 17, 11AM at Biggs Funeral with burial immediately following at Woodlawn Cemetary. In lieu of flowers, donations may be made in Pearl's memory to New Hope Baptist Chapel, a Baptist mission, the Williamston Rescue Squad, or charity of your choice. Arrangement by Biggs Funeral Home.